L.O.L. 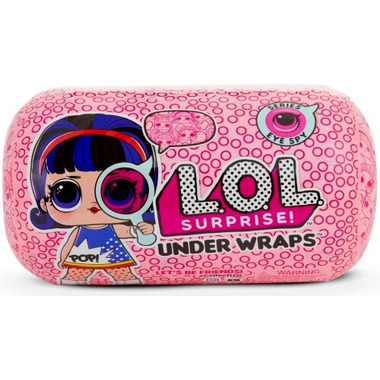 Surprise Eye Spy Series Under Wraps dolls have 15 new surprises! Unbox the spy glass to find code and unlock surprises! Each doll is dressed in a mystery disguise, unbox each layer to discover who's inside! The disguise becomes multiple fashion accessories and the capsule becomes a purse carrying case and doll stand! Mix and match outfits for tons of new looks! Collect them all!